Some leaders are born to lead, while some are made and some others just happen. One such leader who just happened to India is T.N. Seshan. A visionary who created a milestone in the history of Indian elections. A man who is often forgotten and overlooked by the history even though he is one of the few leaders who stayed true to his duty and responsibility towards the nation. 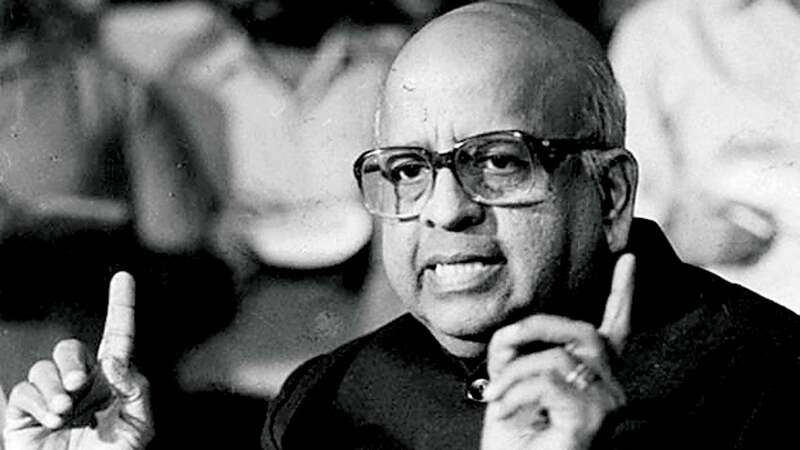 Thirunellai Narayana Iyer Sheshan commonly known as T.N.Sheshan was born in a small village called Thirunellai in the Palakkad District of Kerala on 15th of December 1932. As a student, he was very bright in academics. He pursued his schooling at the Basel Evangelical Mission Higher Secondary School and completed his intermediate from Government Victoria College, Palakkad. He continued his education and graduated in physics from the Madras Christian College. Coincidentally T.N. Seshan was a classmate of E. Sreedharan another notable personality who made a significant contribution towards the infrastructural development of our country. They both were selected to pursue Engineering in Jawaharlal Nehru Technological University in Kakinada. While E. Sreedharan went on to pursue this offer T.N. Sheshan decided to decline the offer and went on to join Madras Christian College. An IPS and IAS Topper! Sheshan was inspired by his brother T.N. Lakshminarayanan who was one of the toppers in the first-ever examination of Indian Administrative Service (IAS). However, Sheshan was underage to appear for the examination, hence he gave a try at the Indian Police Service (IPS) examination and secured the first position in the 1954 batch. And the very next year when he was eligible for the IAS examination, he sat for the examination and was one among the toppers. Sheshan then worked as a demonstrator at the Madras Christian College for 3 years and went to study for his master’s degree in public administration, class of 1968 at the Harvard University on Edward S. Mason fellowship. He was deputed as the IAS Officer of Tamilnadu cadre and has worked as the secretary of many departments in the Tamilnadu Government and other union governments. He has also adorned many prestigious designations such as the Cabinet Secretary, which is the highest position in Indian Civil service hierarchy and he has also been a member of the planning commission of India. He also contested for the Presidential post and lost to K.R.Narayanan in 1997. T.N.Sheshan rose to fame and became a household name then due to his controversial tenure as the Chief Election Commissioner of India. Seshan became the 10th Chief Election Commissioner of India holding the post from 12th December 1990 to 11th December 1996. During his tenure, he created a lot of waves and reformation to the election pattern of India. Despite the controversies surrounding his name, Sheshan can be described as one of the best IAS Officer India has seen. He was so strict and efficient that many people realized what exactly is the role of the Election Commissioner of India. He ensured that every detail of the elections must go through his scrutiny. He was even termed as ‘Al-Sheshan’ (after the dog Alsatian) since he was like a watchdog watching every move and ensuring all the process was completed without any corruption. Being an intelligent IAS officer, he implemented many of his ideas in elections thus making elections more transparent. Voter’s ID: It was T.N. Sheshan’s idea to issue voter’s id to every eligible Indian and he also made it mandatory to produce it while casting vote. Code Of Conduct: N. Sheshan ensured a strict implementation of election code of conduct which was to be followed by everyone irrespective of who they were. Candidate’s Income and Holdings: Sheshan was the first election commissioner of India who asked all the candidates to produce proof of every income and assets they held. Also, he brought in the limitation of expenditure of candidates in the election. Getting votes by bribing and if that does not work people were threatened to vote for a particular party. There was a heavy distribution of liquor during the elections then. Candidates used to utilize communal feelings and caste to get votes. It was a common practice to use loudspeakers and other normal life-disrupting means for campaigns. All the above practices were banned during Sheshan’s tenure. However, these malpractices have sprung back into life after Sheshan’s tenure but one can see a considerable difference in the atmosphere of the elections before 1990 and after 1996. The last post he held was in 2012 when Sheshan was appointed as the interim administrator to run the Pachaiyappa’s Trust in Chennai. Sheshan was awarded the prestigious Ramon Magsaysay Award for his exceptional service to the government in 1996. He has been living in an old age home in Chennai called the Gurukulam Old Age Home after his retirement. He still tries his best to serve people by helping out the people in financial need in his old age home. He was living there with his wife Jayalakshmi. Since the couple has no children they must have decided to live the rest of their life in an old age home even though they owned a house in Palakkad, Kerala. He lost his wife on the 31st of March 2018 due to old age ailments. It can strongly be told that until T.N. Sheshan no Indian knew the importance or the power of the election commissioner. And his honesty and responsibility towards the country must be taken as an example and followed by each and every Indian. He never feared a person in power nor did he waiver at the sight of money. If every Indian can live and do her/his duty towards the country like Sheshan did then India will be a superpower in no time with zero poverty.